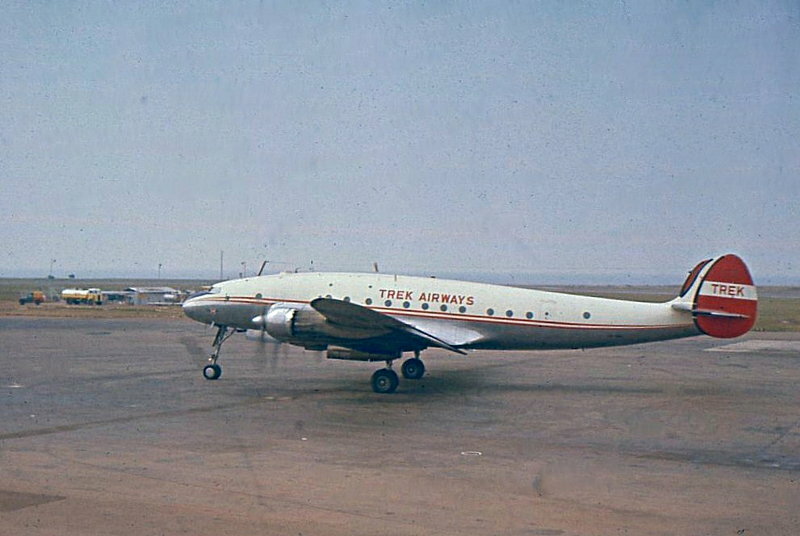 Trek Airways operated two Lockheed L749A Constellations, leased from South African Airways. 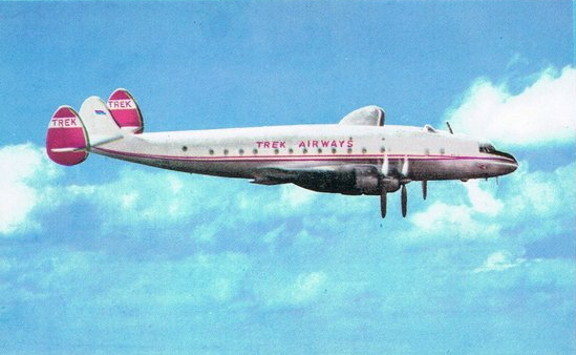 Trek started using the L749A on 1 December 1961. I found your website very interesting. Our family knew Tom Meredith well, since my father was Trek's handling agent in Entebbe from 1957. 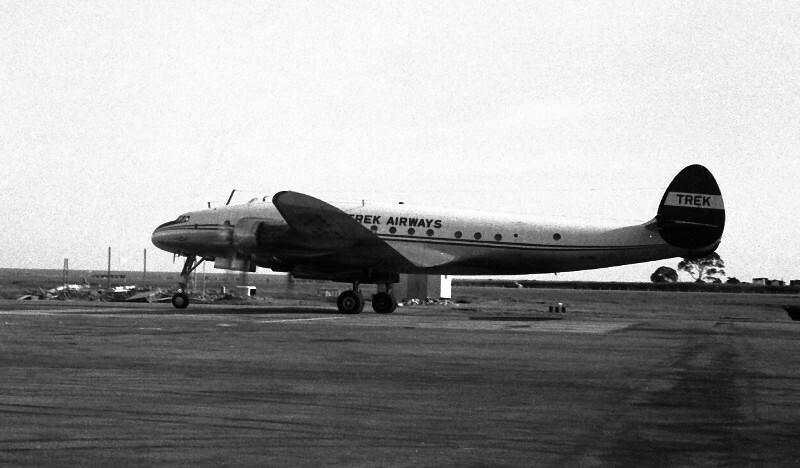 The aircraft often arrived on a Sunday (which infuriated my father since we then couldn't spend the day on our boat!) and we would all go to the airport while he met the plane and arranged transport for all passengers and crew to go to the Lake Victoria Hotel for an overnight stay. He operated a travel agency, based in the hotel, and would then arrange the return trip to the airport the next day.